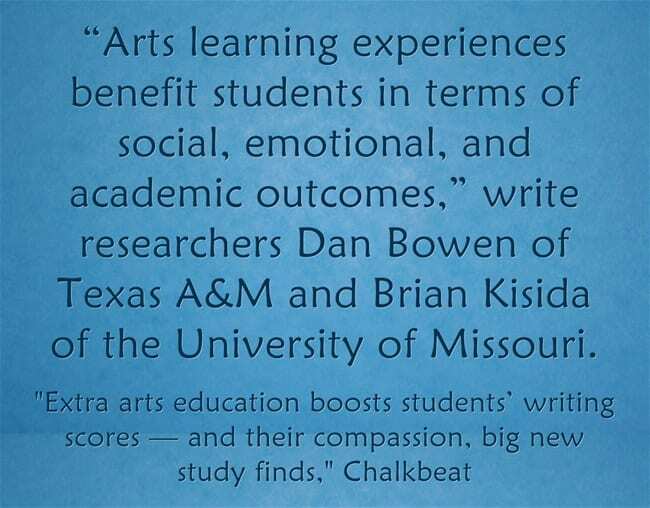 Extra arts education boosts students’ writing scores — and their compassion, big new study finds is another excellent article by Matt Barnum that summarizes the results of a new and important study. Check out the article for details, but it does show good success at a very low cost. I’m adding it to The Best Resources Discussing The Importance Of Art In Education — Help Me Find More.